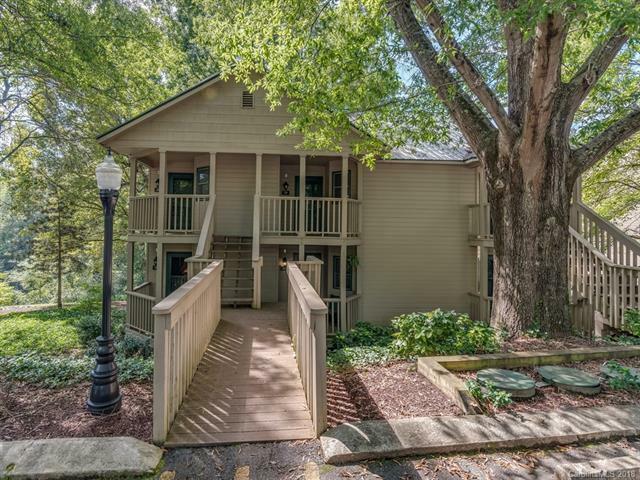 This upper-level, fully remodeled, end unit villa is located 1.2 miles from the Rumbling Bald Resort on Lake Lure and offers a private patio deck where guests can enjoy a view of Rumbling Bald Mountain. Access to all resort amenities is included.The inviting and spacious layout of this one room villa is perfect for a getaway or vacation rental. This villa features a queen size bed, sleeper sofa, and flat screen TV with DVD. The newly remodeled bath has a tile walk-in shower and separate vanity area. The kitchen has a dishwasher, refrigerator, two-burner stove-top, microwave, toaster, and coffee maker. Enjoy the electric fireplace and wireless internet. Sold by Tryon Resort Realty.